We are glad you are here. We want you to know you are not alone and you are not to blame. Help is available. You will get better. You are not alone and you are not to blame. PSI is here to help. You will get better. Available 24 hours a day, you will be asked to leave a confidential message and a trained and caring volunteer will return your call or text. They will listen, answer questions, offer encouragement and connect you with local resources as needed. We have more than 300 Support Coordinators who provide support, encouragement, and local resources to connect with you with local providers and support groups. View our support map HERE and find help. 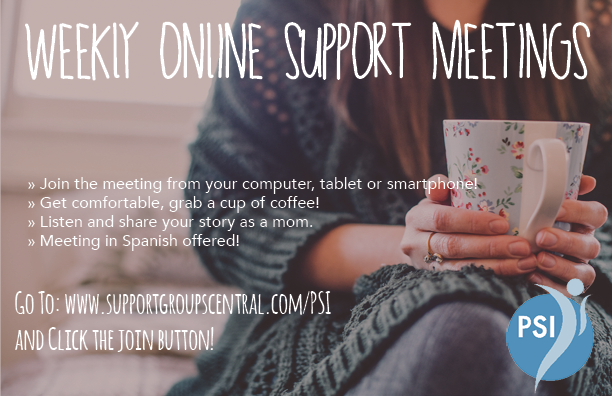 Led by trained PSI facilitators, our online groups will connect you with other parents and provide helpful tools and resources. 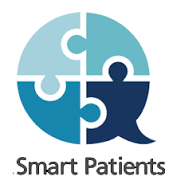 Whether you are going through stress, adjustment to parenting, Baby Blues, or pregnancy or postpartum depression/anxiety, our groups are here for you. Register for any of our groups HERE. Join our weekly call and talk with a PSI expert about symptoms, resources, treatment options and more. There is no need to pre-register or give your name. These sessions are facilitated by licensed mental health professionals and open to anyone with questions and concerns. Check it out and get call info here. The PSI Facebook page offers news on postpartum mental health, information on upcoming PSI services and inspirational quotes and support. 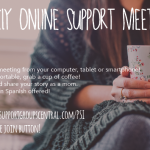 PSI also moderates a closed Facebook group, where you can connect with other moms, share your questions and concerns, get peer support, and offer your support to others. A closed group simply means that our administrator approves your request to join and posts are not visible to the public, only to members of the group.